Spring League is designated by age group. Please check the Player Info tab to see which age group each girl falls in to. If you would like to return to your team from last season, please request the coaches name as requesting a team name is not enough since we had teams with the same name in all age groups. We will need coaches for Spring, so if you are interested please contact a board member. Registration is $85.00 for each player, plus a $3.00 processing fee will be added to your purchase for online registration fee. We will have a walk in registration available on February 27th from 6-8 pm at the Richland Community Center. 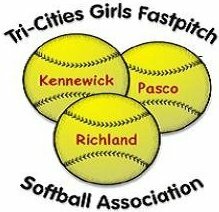 Check out this Softball league '2019 10U Spring' with Tri-Cities Girls Fastpitch Softball Association!